The abandoned cars of Namibia have dominated my winter work in 2018. 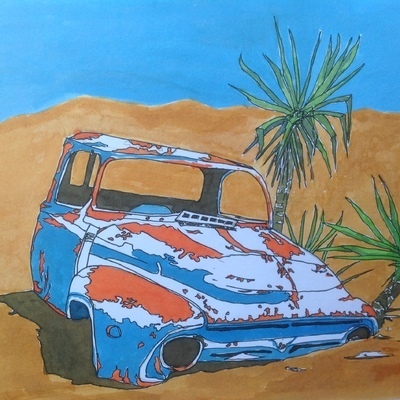 The blue car is portrayed using acrylic inks. 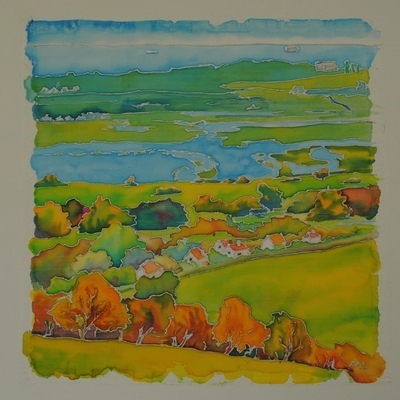 After a break of two traumatic years, Marion has returned to Open Studios. Her travels to Namibia have greatly influenced her current work that remains unsettled. 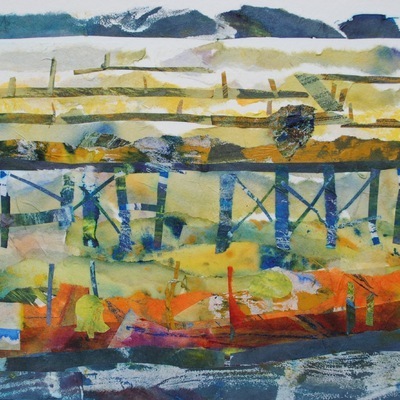 Although she still exhibits her silk paintings her new work has taken on a different twist. Large has lived on Isle of Wight since 2004. She trained as a cartographer and loved the challenge of computer aided design. 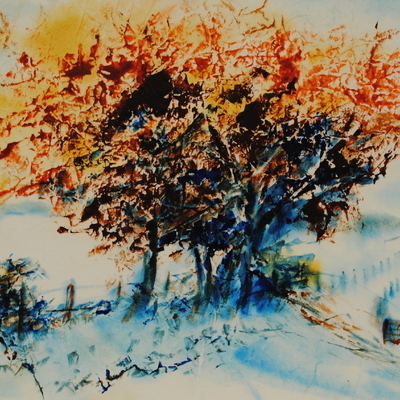 Her art style is loose and fluid, far away from the absolute accuracy that dominated her earlier life.